When did you start usin g slings & why? 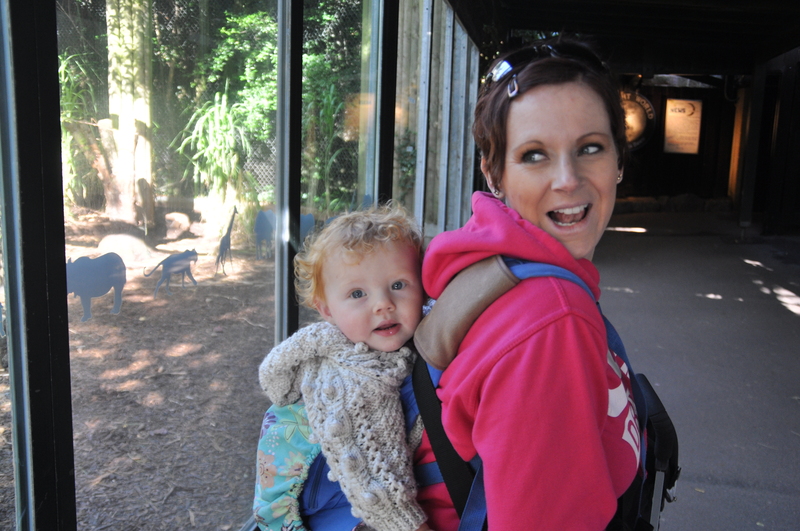 I started when Charlie was about a week old, with a bad experience with the Baba Sling which I just couldn’t work out how to use! That went back to the shop and I bought a narrow based carrier from Mamas & Papas. A breastfeeding consultant told me about how low Charlie was and that there were more supportive carriers. 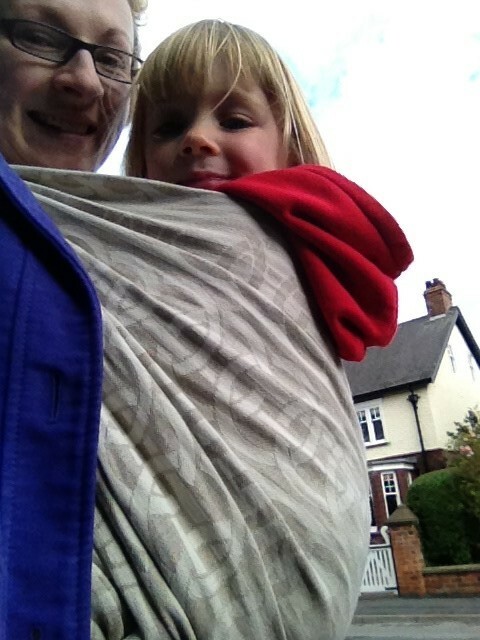 That paired with my interest in a friend who used lots of fabric to carry her babies, led me to a sling meet when Charlie was 6 weeks where I was loaned a stretchy wrap. We haven’t looked back! I think Charlie has a wonderful attachment and people always comment on how happy and settled he is. It has meant I’ve had my hands free to do things (shopping, unloading the car, bouldering at the Giant’s Causeway, etc.). It also lets me have lots of lovely cuddles. I’d say the first time I wrapped Charlie when he was 6 weeks – the feeling was amazing and it has enabled me to make so many friends with similar beliefs to mine. Without going to that sling meet, I wouldn’t be who I am today! 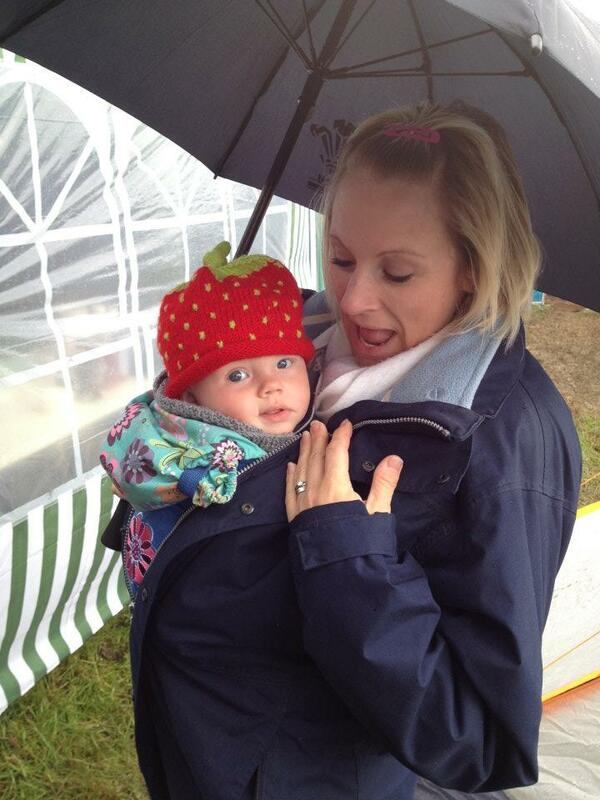 What one piece of wisdom would you pass onto other parents who may be considering using slings? Mum to Maci, 26 months. 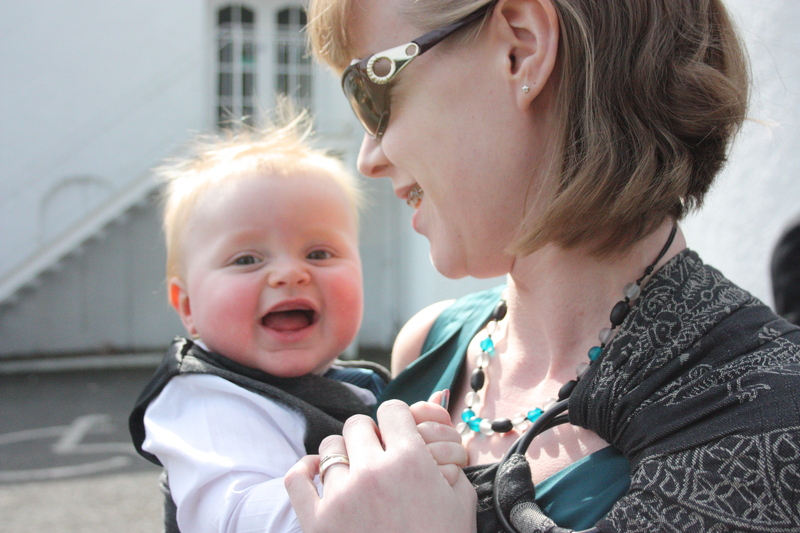 I used a wrap from 3 weeks (we bought it at The Baby Show in Earls Court) and moved to an Ergo at about 6 months and a Huckepack toddler carrier at about 18 months (although we still use the Ergo too). I bought the wrap as Maci hated being put down and seemed calmer near me and that’s how we carried on!! When slinging my toddler on my back I would give the one piece of wisdom as, sit them in the sling on a chair / car seat /wherever you are and kneel down to slip the shoulder straps on. It can be tricky with a wiggly toddler but this i have found to be the best way after a friend gave me the same tip! Mum to Imara, 3 years 2 months. Just after Imara’s 2nd birthday. I’d been talking to a couple of friends about how I would like to have used a sling but I’d had a bad back from pregnancy and didn’t want to bring the pain back after mostly recovering from it. They suggested it might not be as painful as I thought so I decided to buy one to see how we got on and just sell it if it hurt too much. There are so many ways! 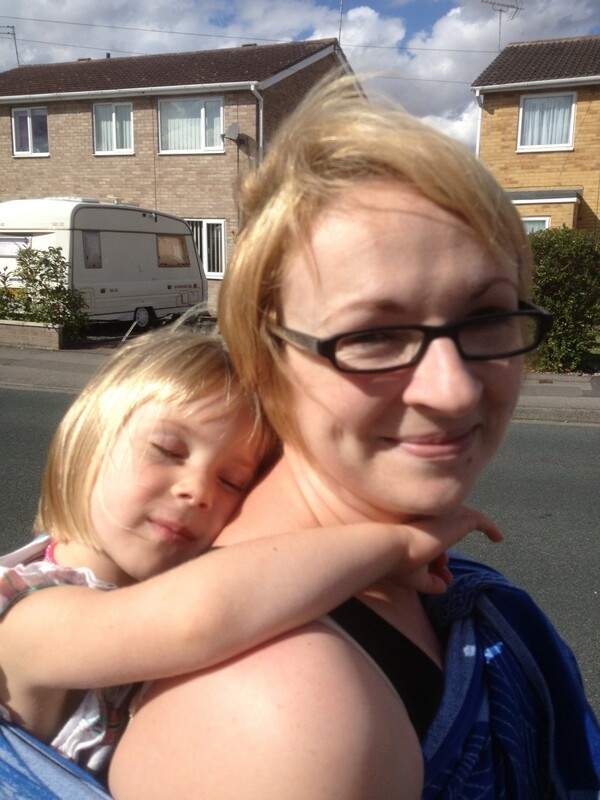 I no longer use a pushchair at all because slings make life so much easier and happier for both of us. For me, my fear of hurting my back was completely unfounded and I actually find that my posture and strength in my back improved greatly the more I used wraps. I no longer spend ages desperately trying to help her go to sleep when she needs it, she can just go on my back and fall asleep with ease. We also use slings when she’s getting worked up as a way to calm down, previously her behaviour would just get worse and would make me feel stressed. I find it easier to interact with her and to discuss where we’re going because she’s always in hearing distance. Though that does mean she can ask me a million questions and I have to answer them! In terms of practicality, we can go anywhere, I never have to drag a pushchair around while she walks, we don’t have to find an accessible route, we can get on a bus with no worry about needing pushchair space and I can pop the sling in my bag when it’s not needed. We went to a local fireworks display recently where there were some especially spectacular (ie. loud!) fireworks which scared her. I suggested she look at my back when she was scared, which she did while hugging me and she was able to calm herself down easily. I’m sure that wouldn’t have been the case had she not felt safe on my back and able to hide herself away. 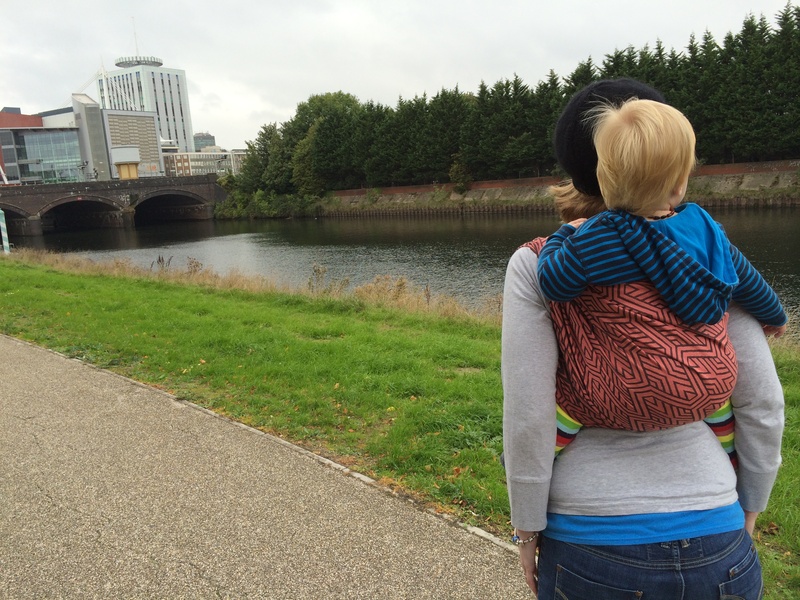 It’s not too late to start using slings when you have a toddler or even a preschooler. You might be surprised at how well your child takes to being carried and how much easier it can make your life. We used a high street carrier when it snowed heavily with Emma and the pram got stuck in the snow! But then my sister in law introduced me to woven wraps so we started with a stretchy wrap and mei tai when Lizzy arrived and carried on from there! When Lizzy arrived, having a sling meant I could play and be out and active with Emma, and not have to worry about Lizzy at all. It eased the arrival of a new baby in the house for me and Emma. But it also gave my husband a role. If I needed a break, (and as a breastfeeding mum breaks only came in 90 minute chunks!) we realised that Lizzy would settle beautifully for that time in a sling with daddy and I didn’t need to worry about her. We both feel it helped them bond. But surprisingly, Emma wanted to try being carried too. We borrowed a woven wrap then when we realised this could be the solution to tired toddler legs, a toddler mei tai just for her. We would go out and encourage her to walk but didn’t need to lug the pram around, as if she needed a rest we unrolled the mei tai, up she hopped and often fell asleep comfortably on our backs! I actually think she has walked more and been more active because of us having the option of a sling, rather than always taking a pram everywhere and her just getting in it automatically. Now daddy has his own carrier for them both and I have my woven wraps! Emma and I had a lovely routine of going to a toddler soft play class once a week. As I got more heavily pregnant with Lizzy it became harder each week and I couldn’t join in like I wanted to. When Lizzy arrived and once Tom was back at work, I panicked about giving up my special time with Emma which we both loved. But using a sling meant I didn’t have to. Each week I would put Lizzy on my back and run around with Emma to the Wiggles and the tweenies, charging over and under obstacles and into ball pits with Lizzy soundly asleep on my back. Emma now does “proper” gymnastics but I still go and instead of dealing with a fidgety grumpy Lizzy, on my back she goes and watches her big sister happily. I couldn’t have done that without slings. Get to a sling meet, don’t be put off if the first thing you try doesn’t suit you, just try another type. They don’t have to cost the world. Nothing can beat the closeness of carrying your child and experiencing the world together.